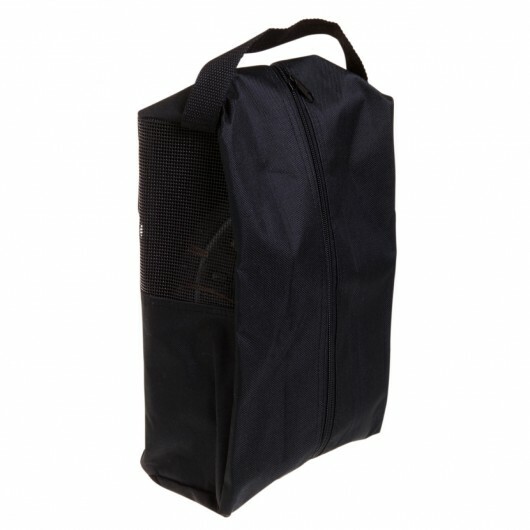 A promotional shoe bag with breathable mesh panels. Excellent for golfers, gym goers and travelling. These 600D nylon shoe bags have breathable mesh side panels, a carry handle and a name tag window on the back. An effective way to promote your logo.